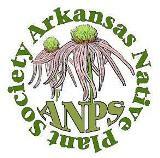 Arkansas Native Plant Society (ANPS) was delighted to receive a record number of applications for grants and scholarships in 2012. Money for those awards comes from three sources within the ANPS budget: (1) Memberships, specifically, Supporting, Family, Contributing, and Lifetime Memberships–$15 from each of those memberships accrues to the General Fund; the remainder is available for scholarships and grants. (2) Proceeds from the Fall Auction. (3) Member contributions. Meghan Foard, Arkansas State University. Delzie Demaree Grant of $1,000 in support of doctoral research on the invasive mechanisms of Chinese privet, Ligustrum sinense, and their implications for bottomland hardwood forest conservation in the southeastern U.S. Advisor: Travis D. Marsico. Carey Minteer, University of Arkansas. Aileen McWilliam Scholarship of $1,000 in support of her doctoral research on the biological control of spotted knapweed, Centaurea stoebe, in Arkansas. Ms. Minteer will introduce two host-specific beetle species and evaluate their effect on populations of the alien invasive knapweed. Advisor: Timothy J. Kring. David Burge, Arkansas State University. Aileen McWilliam Scholarship of $500 in support of his master’s research on the use of higher plants and algae as indicators of wetland water quality in eastern Arkansas. Advisor: Travis D. Marsico. Kristen N. Finch, Hendrix College. Aileen McWilliam Scholarship of $500 in support of her undergraduate molecular research on the taxonomy of ponderosa pine, a western species. Advisor: Ann Willyard. Kari M. Harris, Arkansas State University. Aileen McWilliam Scholarship of $500 in support of her master’s project to digitize ASU’s STAR Herbarium, thereby making specimen images and data available online. Advisor: Travis D. Marsico. Jessica R. Needham, University of Central Arkansas. Aileen McWilliam Scholarship of $500 in support of her master’s research on interactions between invasive and native plant communities through a study of the pollination biology of Chinese privet, Ligustrum sinense, in the Arkansas River Valley, and the possibly negative effect of the invasive privet on fruit set in the native cutleaf toothwort, Cardamine concatenata. Advisor: Katherine Larson. Autumn Lynn Coffey Olsen, University of Arkansas. Aileen McWilliam Scholarship of $500 in support of her master’s research on habitat requirements of two of the state’s rarest plant species, Ozark spiderwort, Tradescantia ozarkana, and the Arkansas endemic Moore’s delphinium, Delphinium newtonianum. Advisor: Steven L. Stephenson. Drew A. Prescott, University of Arkansas at Monticello. Aileen McWilliam Scholarship of $250 in continued support of his productive undergraduate interest in botany. Drew received a $1,000 award last year from ANPS to support molecular research on two closely related species of Arkansas toothworts, Cardamine angustata and C. ouachitana. Advisor: Karen Fawley. The Scholarships and Awards Committee comprises chairman Mary Ann King, Brent Baker, and Eric Sundell. This entry was posted in Scholarships and Awards and tagged Arkansas Native Plant Society, grants, scholarships. Bookmark the permalink.